ANGAMAH Vengadasalam made her international debut as a 15-year-old, but her decision to make a comeback after a seven-year layoff propelled her to become a household name in athletics. Angamah, who turned 60 on June 16 last year, made her debut at the 1969 Seap Games in Rangoon, winning the bronze medal in the 4x100m. Being athletic came naturally for Angamah, who spent her childhood in her hometown of Jasin, Malacca where she ran around freely in the estates and, together with the neighbourhood children, used a small roundabout in the town as an 'athletic' track. “Coming from a small town, the children were like a close-knit family and always did things together. 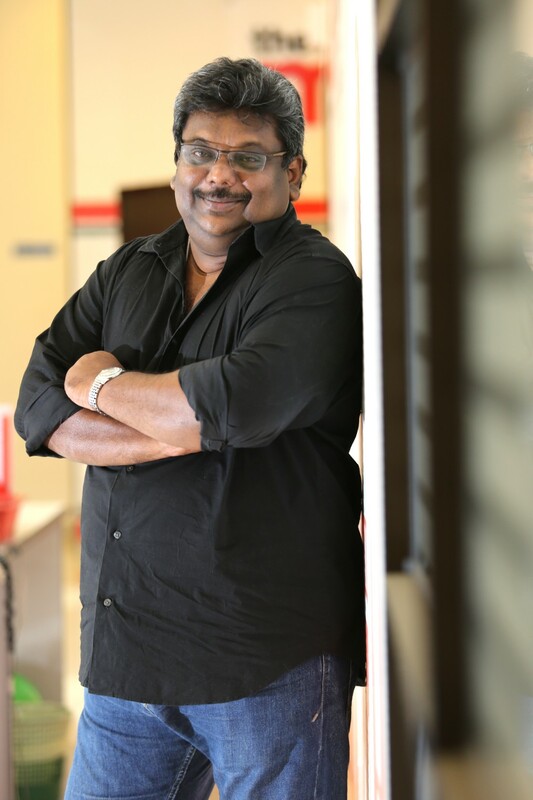 One of which was running and we just ran everywhere — from going to the shop, town and school,” said Angamah. “I did not know then but I was doing a lot of plyomatrics exercises (jumps) and that helped me to become more athletic. Angamah caught the eyes of her teachers at the Jasin English School when she was in Standard Three. She finished on the winner's rostrum several times and drew the attention of state selectors, who sent her to district meets where at best, she managed fourth placing. 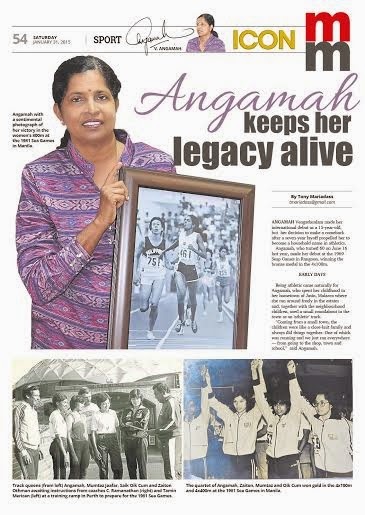 Angamah progressed from district level to the national stage in 1965 — her first major assignment where she managed to win bronze in the 200m event. It was her performance at the national championships in 1969 that saw being selected for centralised training for the 1969 Seap Games. “Teachers in my school like athletics teacher M.P. Haridas, Chandran, Moisenac and Mrs Tan helped shape my athletics career. I come from a poor family where my father was only a casual worker with the anti-malaria division at the Jasin Hospital,” said the eldest of four — two sisters and a brother. “These teachers raised cash for my pocket money to attend meets and tailored uniforms. Mrs Tan, my mathematics teacher, even arranged with the school canteen to give me two half boiled eggs daily and paid for it. “I am really indebted to these teachers and will always remember them. 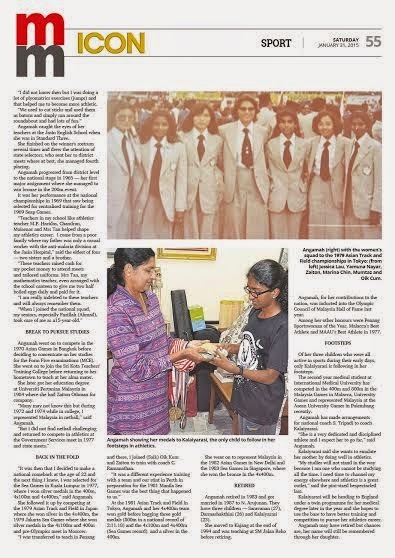 Angamah went on to compete in the 1970 Asian Games in Bangkok before deciding to concentrate on her studies for the Form Five examinations (MCE). She went on to join the Sri Kota Teachers' Training College before returning to her hometown to teach at her alma mater. 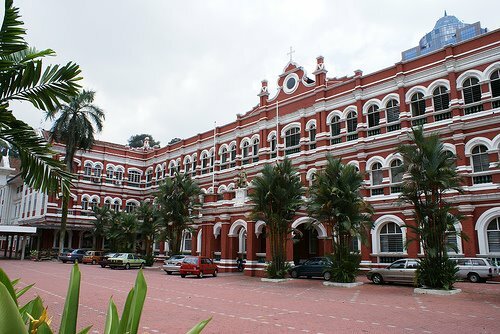 She later got her education degree at Universiti Pertanian Malaysia in 1984 where she had Zaiton Othman for company. “Many may not know this but during 1972 and 1974 while in college, I represented Malaysia in netball,” said Angamah. “It was then that I decided to make a national comeback at the age of 22 and the next thing I knew, I was selected for the Sea Games in Kuala Lumpur in 1977, where I won silver medals in the 400m, 4x100m and 4x400m,” said Angamah. She followed it up by competing at the 1979 Asian Track and Field in Japan where she won silver in the 4x400m, the 1979 Jakarta Sea Games where she won silver medals in the 4x100m and 400m and pre-Olympics meet in Moscow. 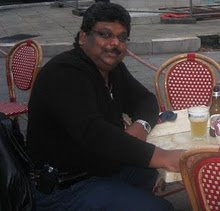 “I was transferred to teach in Penang and there, I joined (Saik) Oik Kum and Zaiton to train with coach C. Ramanathan. At the 1981 Asian Track and Field in Tokyo, Angamah and her 4x400m team won gold before bagging three gold medals (800m in a national record of 2:11.18) and the 4x100m and 4x400m (Sea Games record) and a silver in the 400m. She went on to represent Malaysia in the 1982 Asian Games in New Delhi and the 1983 Sea Games in Singapore, where she won the bronze in the 4x400m. 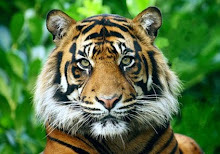 Angamah retired in 1983 and got married in 1987 to N. Arujunan. They have three children — Saravanan (27), Darmashakthini (26) and Kalaiyarasi (23). She moved to Kajang at the end of 1994 and was teaching at SM Jalan Reko before retiring. Angamah, for her contributions to the nation, was inducted into the Olympic Council of Malaysia Hall of Fame last year. Among her other honours were Penang Sportswoman of the Year, Malacca’s Best Athlete and MAAU’s Best Athlete in 1977. Of her three children who were all active in sports during their early days, only Kalaiyarasi is following in her footsteps. The second year medical student at International Medical University has competed in the 400m and 800m in the Malaysia Games in Malacca, University Games and represented Malaysia at the Asean University Games in Palembang recently. Angamah has made arrangements for national coach S. Tripadi to coach Kalaiyarasi. “She is a very dedicated and disciplined athlete and I expect her to go far,” said Angamah. Kalaiyarasi said she wants to emulate her mother by doing well in athletics. "My studies will not stand in the way because I am one who cannot be studying all the time. I need time to channel my energy elsewhere and athletics is a great outlet,” said the pint-sized bespectacled lass. Kalaiyarasi will be heading to England under a twin programme for her medical degree later in the year and she hopes to use the base to have better training and competition to pursue her athletics career. Angamah may have retired but chances are, her name will still be remembered through her daughter.